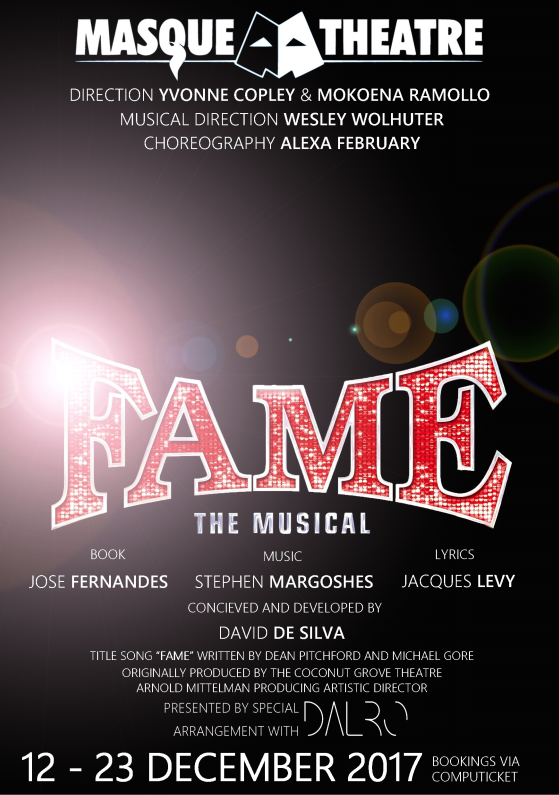 The Masque Theatre is proud to present Fame the Musical as our end of year fundraiser. Join the students of Performing Arts High School as they experience hurdle after hurdle in their journey to becoming stars – learning that they can’t just sing and dance their way through life. With “Hard Work” , a bit of “Prayer”, “Think(ing) of Meryl Streep”, and a whole lot of “Dancin’ on the Sidewalk”, the students finally learn what it is to achieve “Fame”. A cast packed full of talent, and expert direction – Fame is bound to be an absolute stunner of a production. Don’t delay, book today!